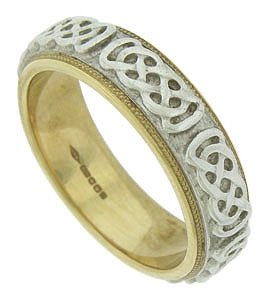 This Celtic inspired estate wedding band features a white gold central ribbon adorned with braided figures. The yellow gold band is decorated with impressed milgrain. 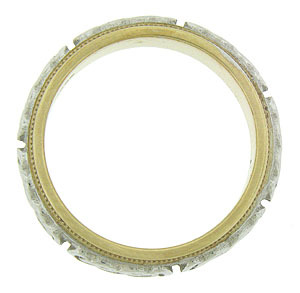 The wedding ring is fashioned of 9 carat gold and measures 6.07 mm in width. Size 9. We cannot re-size.